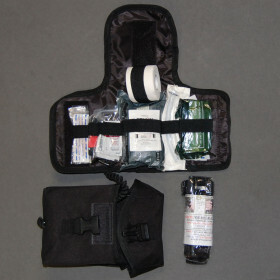 IFAK » Protective Solutions, Inc. Modeled after a proven military design and updated to meet the needs of today's law enforcement officers. All contents are organized in a milspec carrying pouch. Image shows carrying pouch of most included items.